Home / News / NEW Star Wars™ Carbonite Products – Free shipping for a limited time! 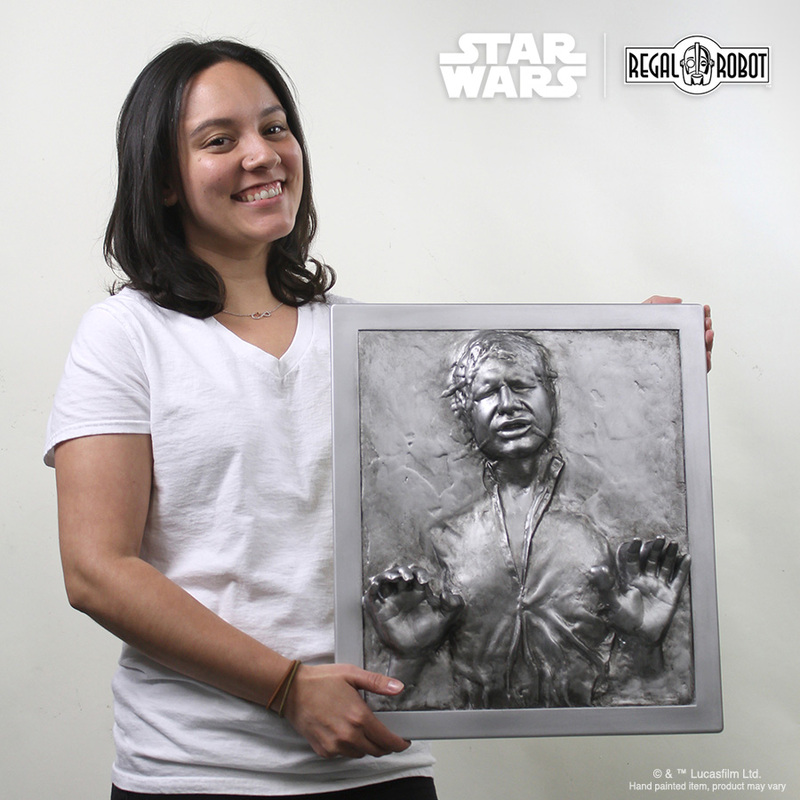 NEW Star Wars™ Carbonite Products – Free shipping for a limited time! NEW Star Wars™ Carbonite Furniture & Decor – we’re celebrating with FREE SHIPPING on select items for a limited time! Make classic elements of Star Wars: Episode V the Empire Strikes Back, a part of your style with our new Bespin Carbonite Chamber themed wall decor and furniture for your home, office or fan cave! 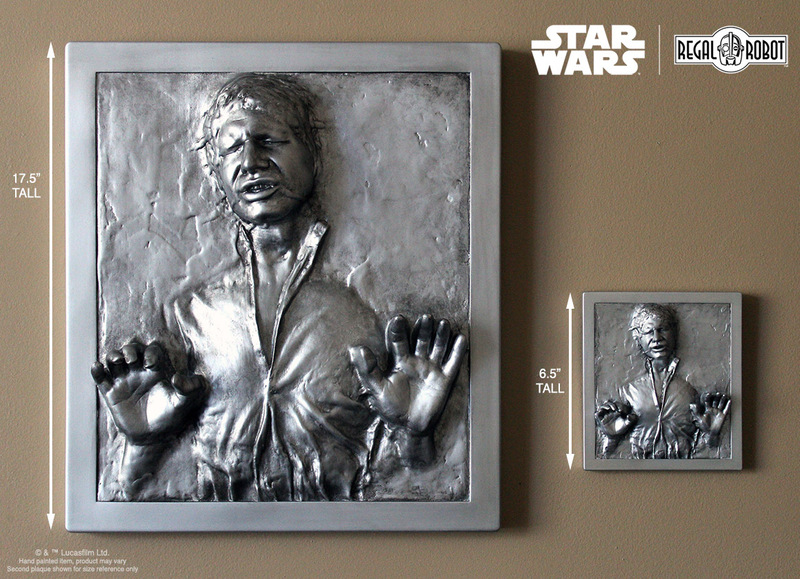 We’ve added three great new Star Wars creations to our site today – Han Solo™ in Carbonite Plaque Wall Decor, Han Solo™ in Carbonite Mini Plaque and a Carbonite Chamber Cafe Table. All three are now available to order and best of all, to introduce these new pieces, we’re offering FREE CONTINENTAL US SHIPPING on those three new items and extending that ALL Star Wars themed cafe tables! For orders in AK, HI or US Territories, contact us before ordering as we’re offering discounted shipping for your areas. This special offer runs from 9/3/18 until 11:59 PM PT on 9/17/18. Use coupon code FREESHIP and save when you bring home these great new creations! 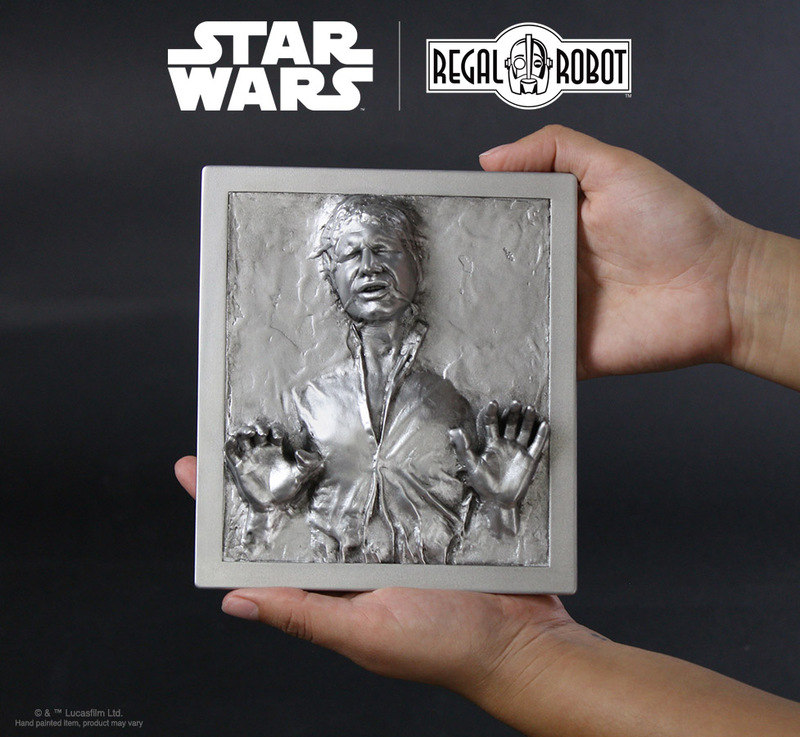 Our new scaled Han Solo™ in Carbonite plaques are created using a scan of the original film prop, which was output in two scales and hand finished for reproduction. Each plaque is cast in the USA and hand painted by our artists. They come ready to hang in your office or home! We have two sizes available now. Visit our Star Wars Art and Decor page to order! From our hands, to yours. We hand paint each carbonite wall art piece in our US studios! From our hands, to yours! Hand painted and ready to display! Like all of our themed cafe tables, our new Carbonite Chamber Cafe Table features a high gloss photo top with stunning artwork. Illustrators Chris Trevas and Chris Reiff developed a wonderful interpretation of the classic orange-lighted floor of Bespin’s carbonite chamber and we’ve embedded that in durable laminate as the top for this new table which is now available! 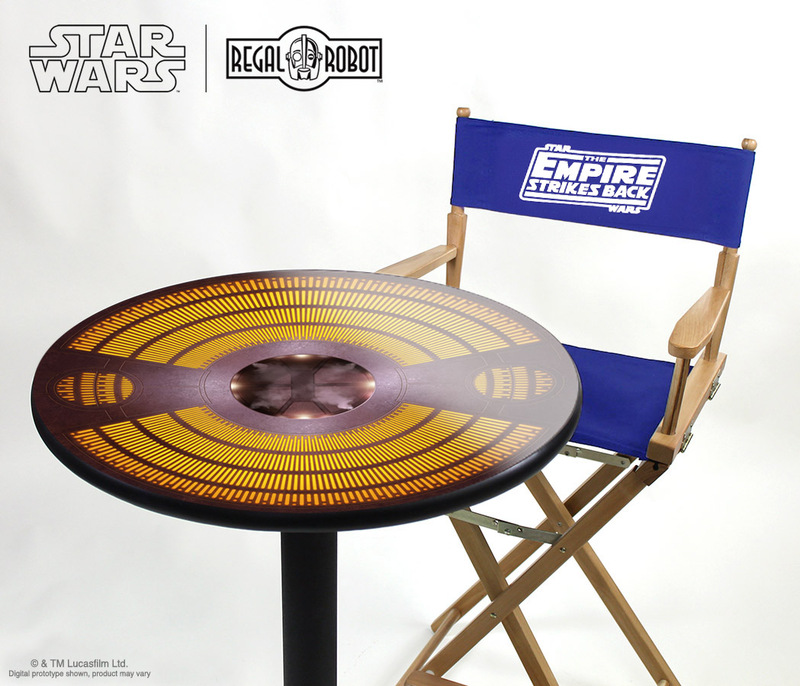 The carbonite chamber table’s photo top has a durable high gloss laminate finish and pairs well with our Star Wars directors chairs! So be sure to stop by our Star Wars furniture, art and decor section from 9/3/18-9/17/18 to see our new products and use code FREESHIP to save on shipping! Thanks for reading today! NOTE – Free Shipping applies in the continental US. Offer requires the coupon code FREESHIP and is available from 9/3 through 9/17 PT on select items only. AK, HI and US Territories will receive discounted shipping during this offer, please contact us for a custom discounted shipping quote. Please see our site’s Payment, Shipping and Returns page for further details about coupons and discounts.